Internet users of all ages need to be aware of how to protect themselves from internet piracy and fraud, but seniors need to be especially careful. 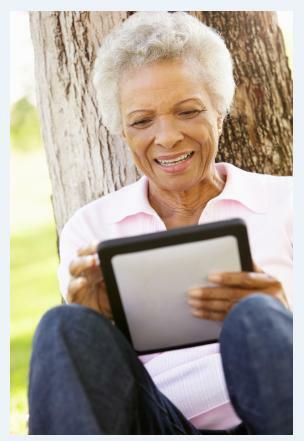 Caregivers should help clients learn to use the internet safely and suggest practical tips for avoiding internet scams. Using a reliable home care system and home care software program, such as ClearCare, is an innovative way for caregivers to help protect their senior clients from internet fraud. Caregivers can keep a list of safe sites in their home care software, as well as client user names and notes on suspected suspicious internet activity. Additionally, steps like those listed below can help make sure seniors are safe both at home, and online! Online fraud takes all forms – from sweepstakes to weight loss cures. Seniors tend to respond to promising investment opportunities that prey on their fear of running out of money, or insurance offers that guarantee better health coverage. Some sites and emails look so legitimate they fool even the most tech-savvy of internet users. Caution seniors to verify the validity of an email or website before giving out any financial information. Seniors have worked hard to create their retirement funds, so caregivers and family members must work together to warn seniors of the potential risks of internet piracy and fraud. Relying on ClearCare’s home care software and home care system will help keep communication open between family members, caregivers, and clients – keeping everyone on the same page regarding internet security. Tasks in home care software can help remind caregivers to monitor senior internet usage and report any suspicious or potentially dangerous internet activity to family caregivers. Families that rely on a quality home care system have the luxury of checking in on their loved ones at any time – day or night. This alleviates concerns regarding the senior’s safety and builds trust in the caregiver. ClearCare’s web-based home care software is 100% secure and available through any computer, iPhone or iPad, leaving seniors with one less online security concern to worry about.